Hundreds of people gathered to honor a Hopkinsville police officer who made the ultimate sacrifice. Phillip Meacham was fatally shot by a man pretending to be a police officer in Hopkinsville, Kentucky last week. He was 38-years-old. 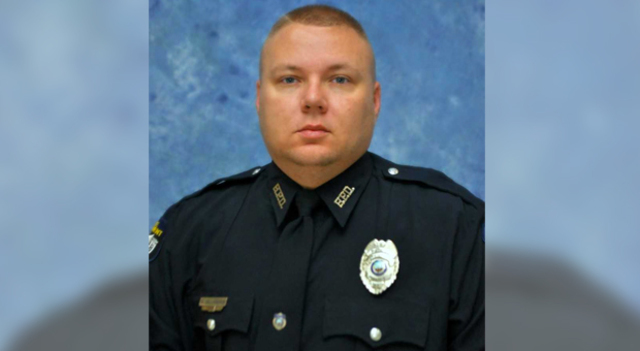 “He was a good father, good husband, as well as a good pillar of the community,” said Hopkinsville Police Chief Clayton Sumner. Funeral services were held Wednesday morning at Christian County High School. Flags will also be flown at half-staff across the state through sunset Thursday in Meacham's honor. Officer Meacham leaves behind a wife and a young daughter.